Enjoy an Asian odyssey through 3 amazing countries! Loads of unique activities included! Explore Halong Bay & Angkor Wat! Make new friends on this exciting group tour in Asia. Discover Vietnam, Thailand and Cambodia and enjoy your very own Asian odyssey! 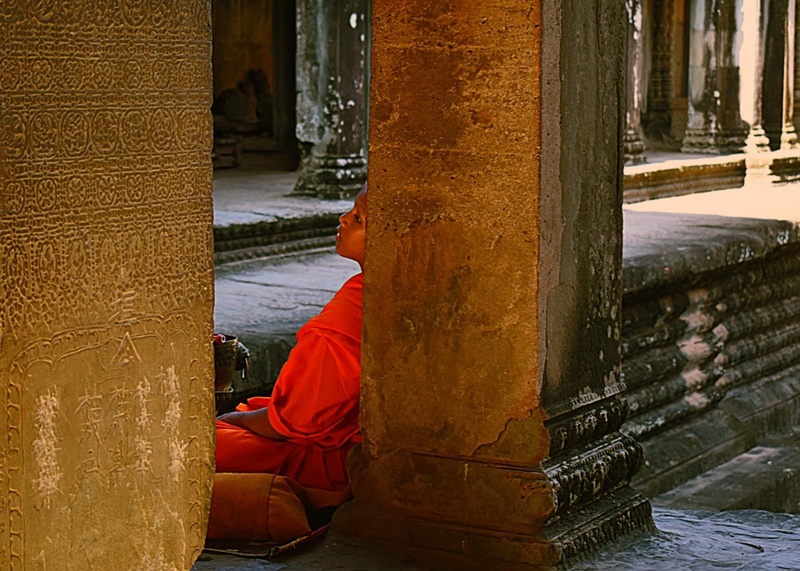 We have selected three of our most popular and flexible Asia programmes and put them together to create the ideal adventure tour, which includes our 25 day Thai Adventure, our 10 day Cambodia on a Shoestring tour and our 12 day Vietnam Adventure. Pack all these perfect Asian destinations into one awesome multi-country experience! 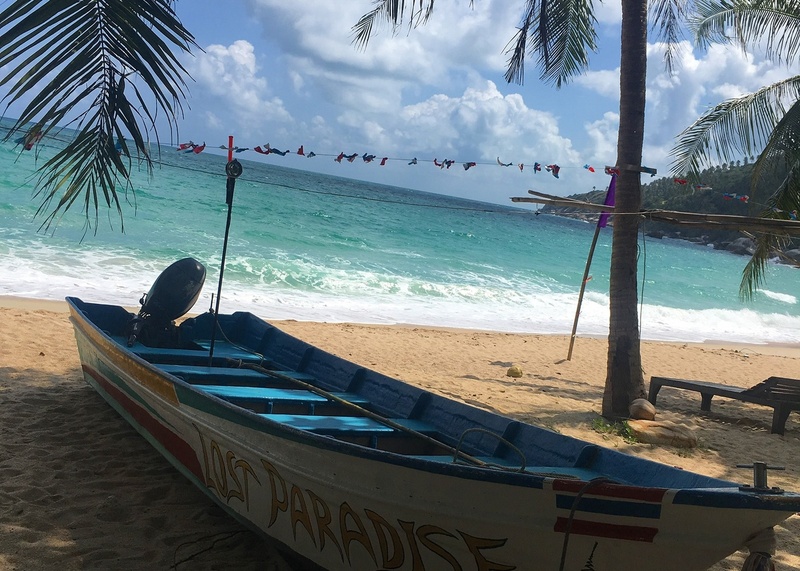 Enjoy beach bliss and party time in Vietnam, on Thailand’s Koh Tao and Koh Phangan islands and in Cambodia’s stunning beach resort of Koh Rong! 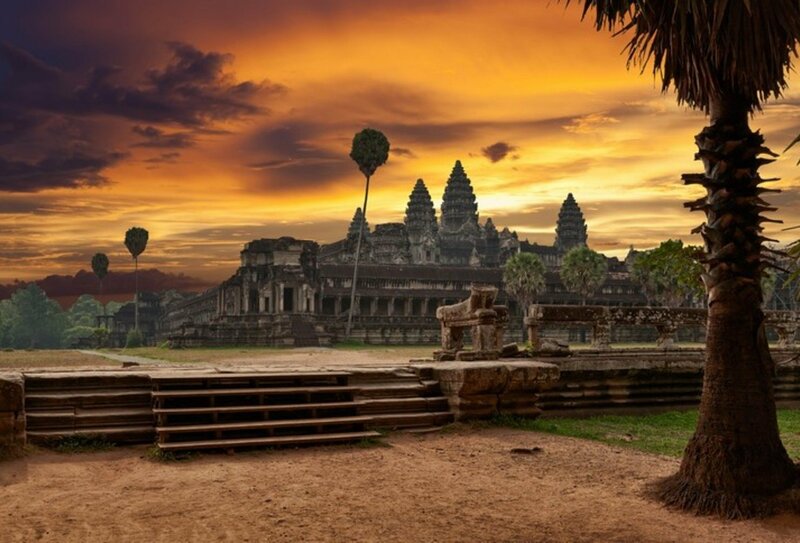 Discover three fantastic Asian countries in one top tour: Kick off with our 25 day Thai Adventure, followed by a 10 day Cambodia on a Shoestring tour and our awesome 12 day Vietnam Adventure! 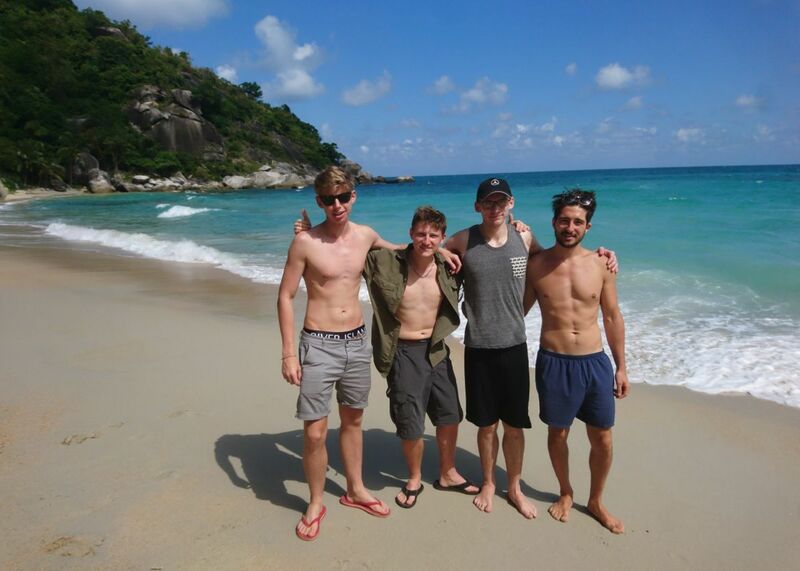 Day 19: Koh Phangan Beach Party. 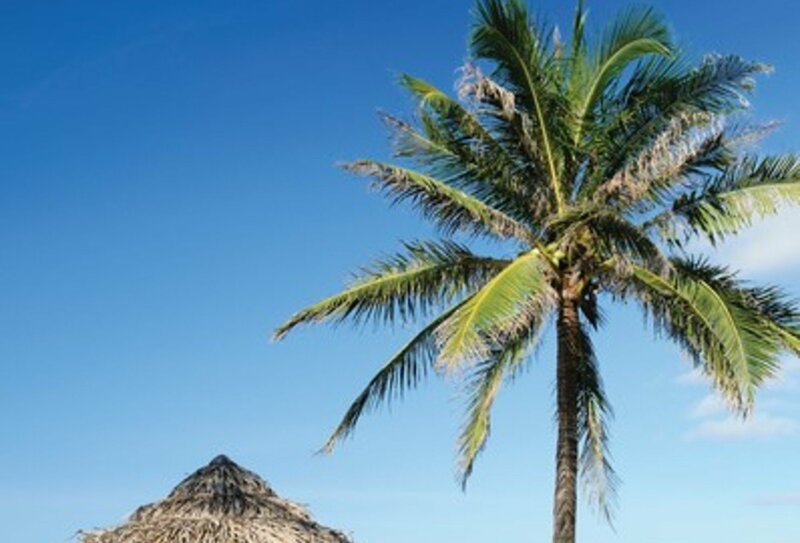 Today is all about Southeast Asia’s most famous party island. Spend the day getting party ready: put on your party clothes, slap on the fluorescent paint and stretch off for a long night of dancing ahead! Please contact a travel advisor to find out which start dates coincide with which party! Day 1: Bangkok. 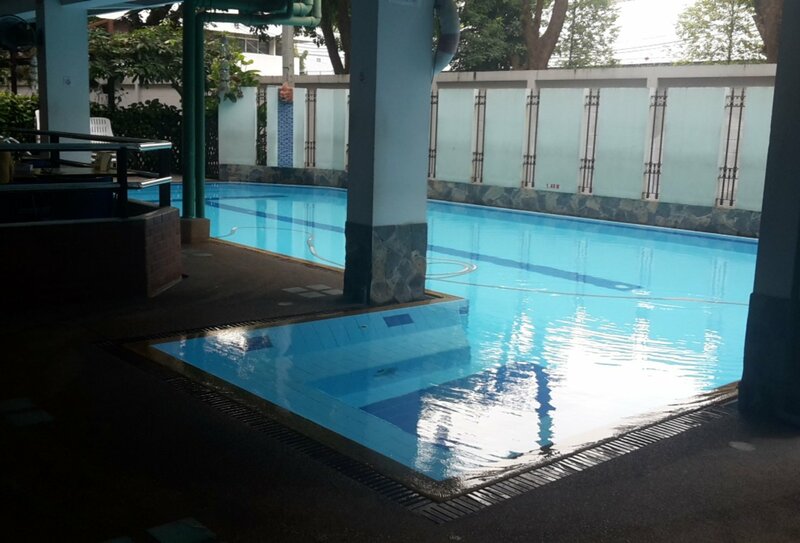 Arrive into Bangkok at any time and make your way to your accommodation in time for a 6pm welcome meeting. 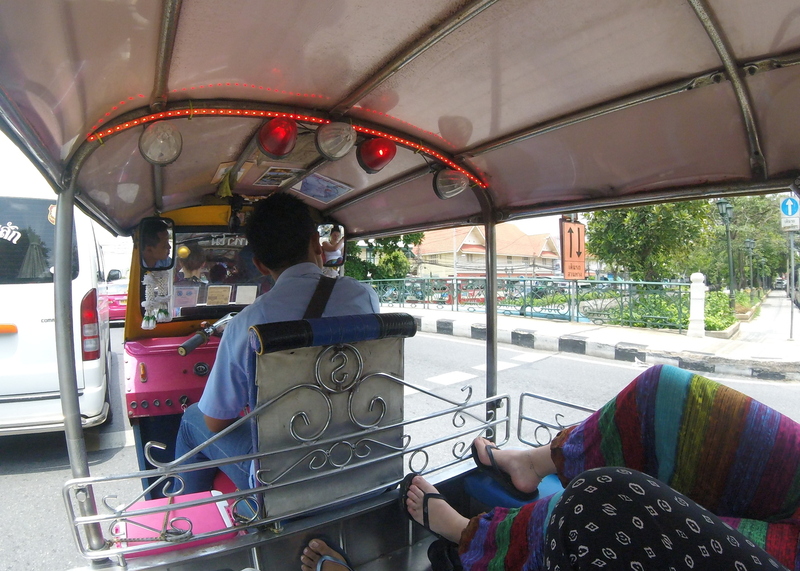 Day 2: Bangkok/Siem Reap. 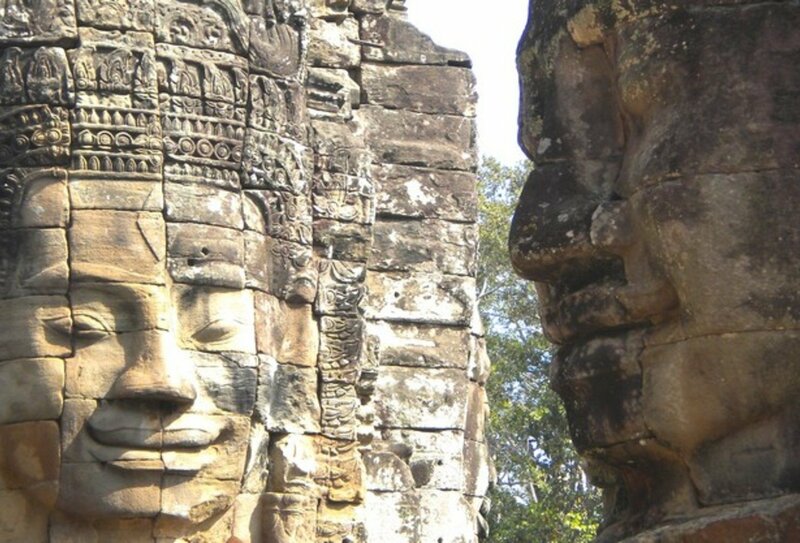 Cross the Cambodian border and head for beautiful Siem Reap. Enjoy a tasty traditional meal at a local community project. Get to know the locals and enjoy a unique insight into Cambodian life. Day 3: Siem Reap. 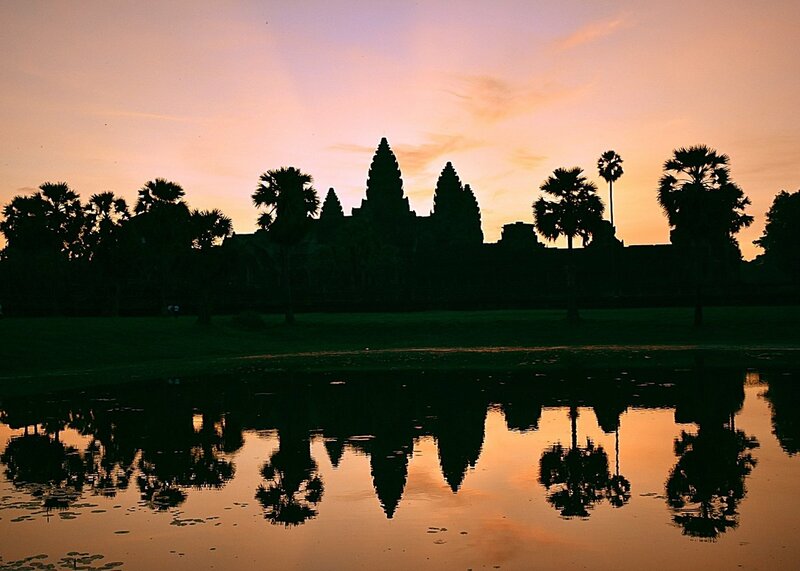 Wake up early to watch the sun rise over Angkor Wat. Enjoy a guided tour around the temples and statues. Spend the afternoon relaxing in Siem Reap or choose from a range of optional activities, including a museum visit and a circus performance. Day 4: Siem Reap/Phnom Penh. Jump aboard a local bus and travel to Cambodia’s capital, Phnom Penh. Arrive in the city and follow your guide on a brief orientation walk. Get ready for your first night of Cambodian city living! Day 5: Phnom Penh. Take advantage of a full free day of exploration. Opt to visit the infamous S-21 prison or the Killing Fields of Choeung Ek. Alternatively, you could delve into the busy Russian Market or take a look at the Royal Palace. 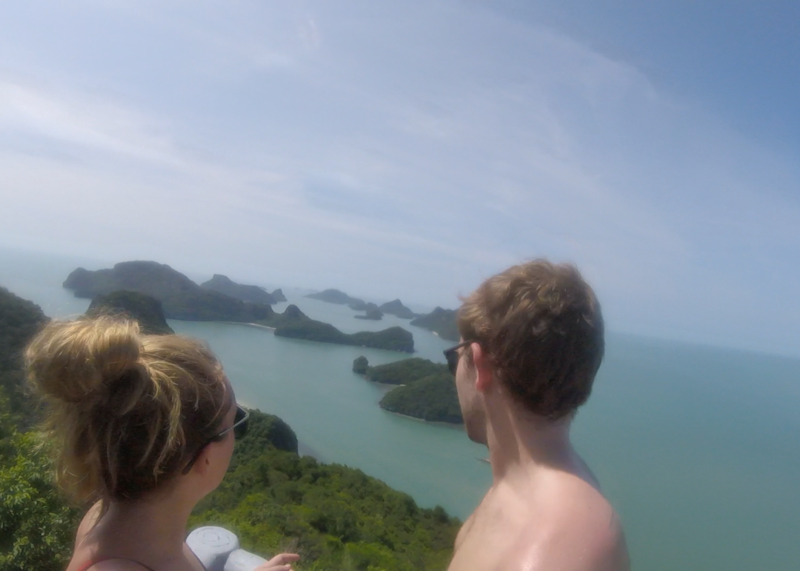 Day 6: Phnom Penh/Koh Rong. 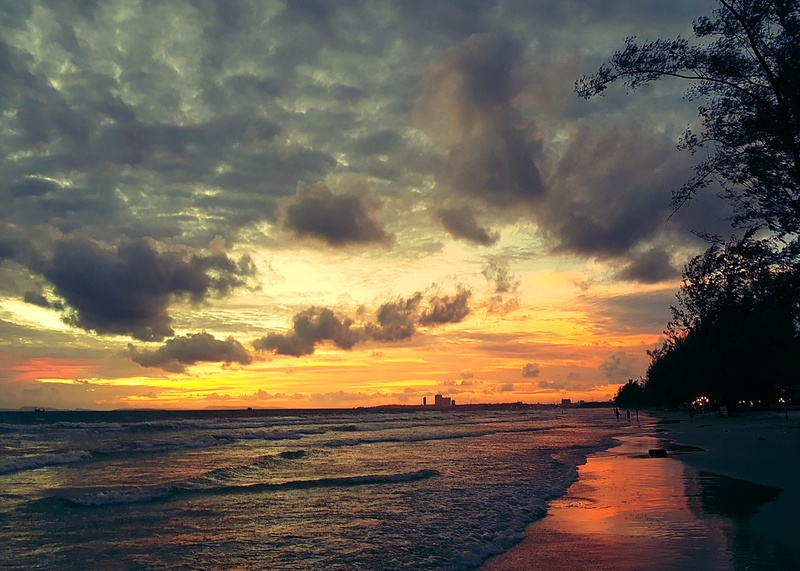 Head south to the stunning Cambodian coast and transfer to the paradise island of Koh Rong. 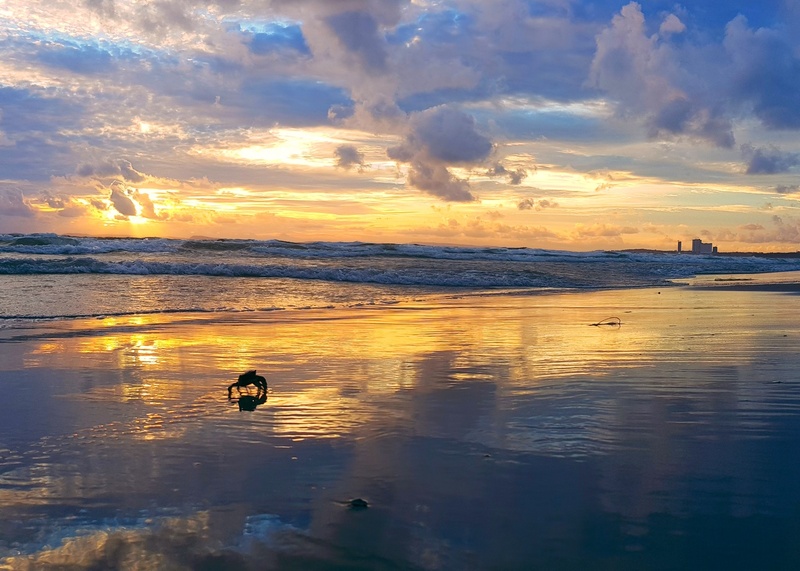 Relax on your own private beach and enjoy a dip in the warm sea waters. Day 7: Koh Rong. 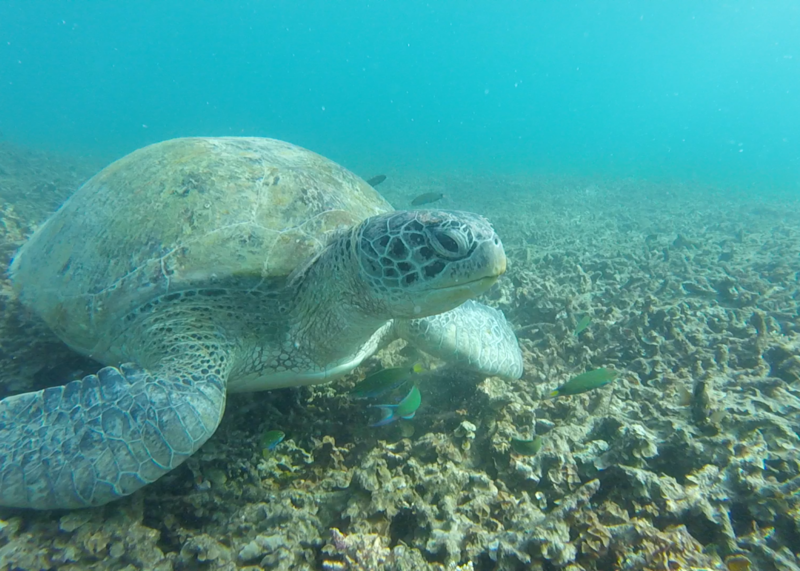 Spend the day chilling on the beach or opt to join a snorkelling boat trip and get up close to underwater wildlife. 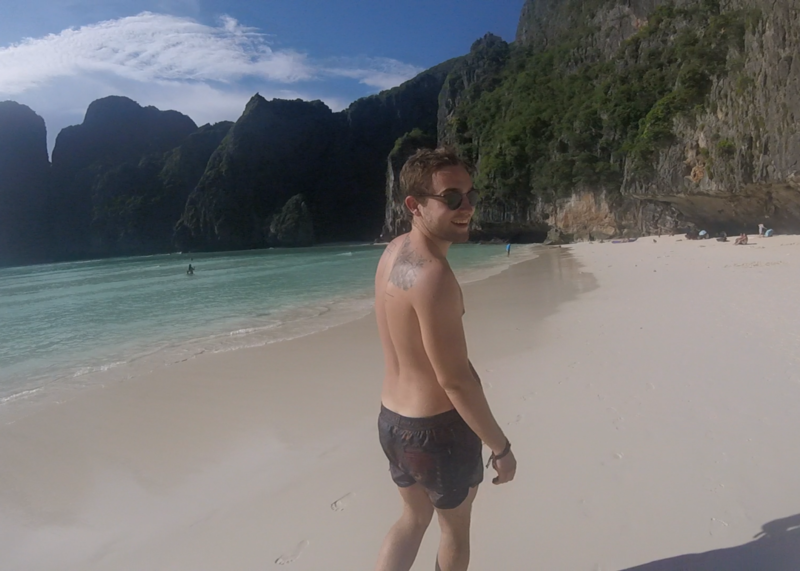 Day 8: Koh Rong/Chambok. Climb aboard a private vehicle and travel to rural Cambodia for a traitional homestay. Tuck into an authentic homemade meal at a local village. Day 9: Chambok/Ho Chi Minh City. 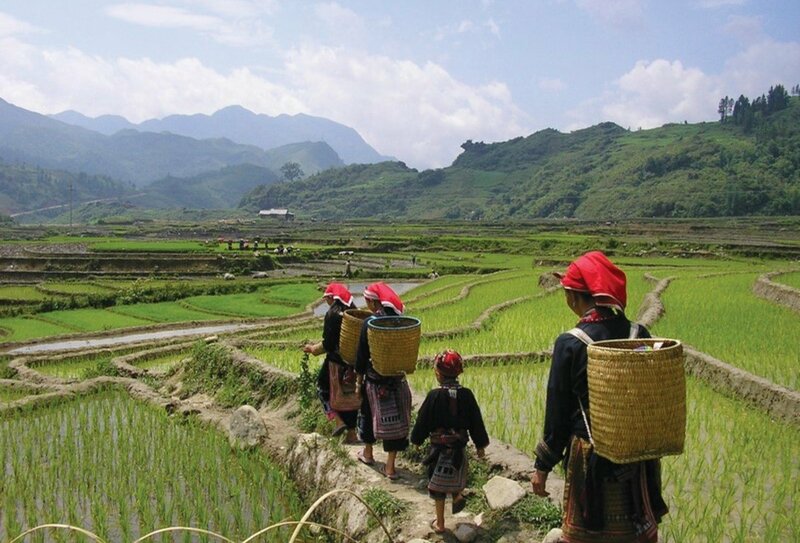 Roll across the border into Vietnam, and travel through the gorgeous countryside towards Ho Chi Minh City. Enjoy a street food crawl and then head out into the city for some independent exploration. Day 10: Ho Chi Minh City. Your fantastic shoestring adventure comes to an end today! Say goodbye to group and head for the airport. Depart at any time. Please note: Travel between Ho Chi Minh City and Hanoi is not included. Please speak to a travel advisor for advice about this journey. Please note: Depending on start dates, there may be some time between the Cambodia and the Vietnam portion of the trip. Please contact us for more information. Day 1: Welcome to Vietnam. Arrive into Noi Bai International Airport in Hanoi, where you’ll be met and transferred to your accommodation. Enjoy your first night in Vietnam! Day 2: Hanoi Rickshaw Tour. Tour around the city on a rickshaw and keep your eyes peeled for key sites such as the Presidential Palace, the beautiful West Lake, the Ho Chi Minh complex and the One Pillar Pagoda. Breakfast included. Day 3: Ha Long Bay cruise. 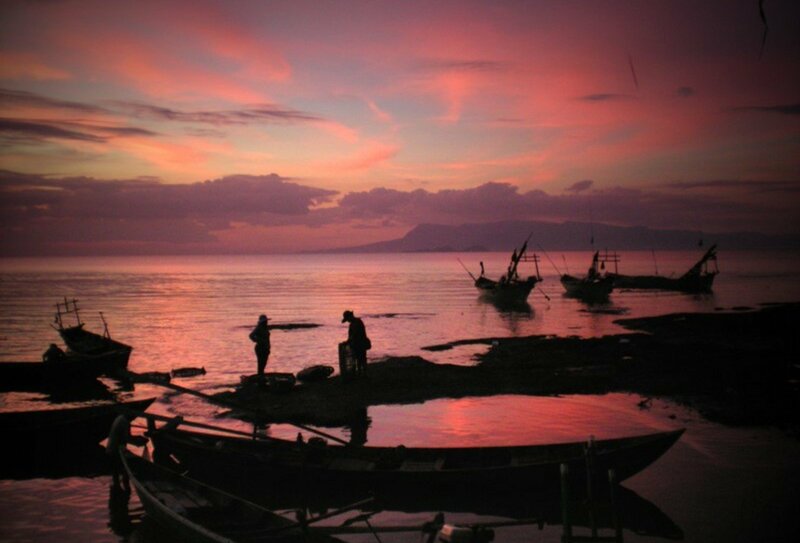 Wake up early and make your way to the traditional Vietnamese junk boat that’ll be your home for the night! As you cruise you’ll have the chance to go caving, sea kayaking and even try your hand at a spot of late-night squid fishing! Breakfast, lunch and dinner included. Day 4: Wake up in Ha Long. A real treat in store tonight – a stay on your very own private island! Chill out on this gorgeous island, get competitive with some beach volleyball and soak up the glorious sun! Breakfast, lunch and dinner included. 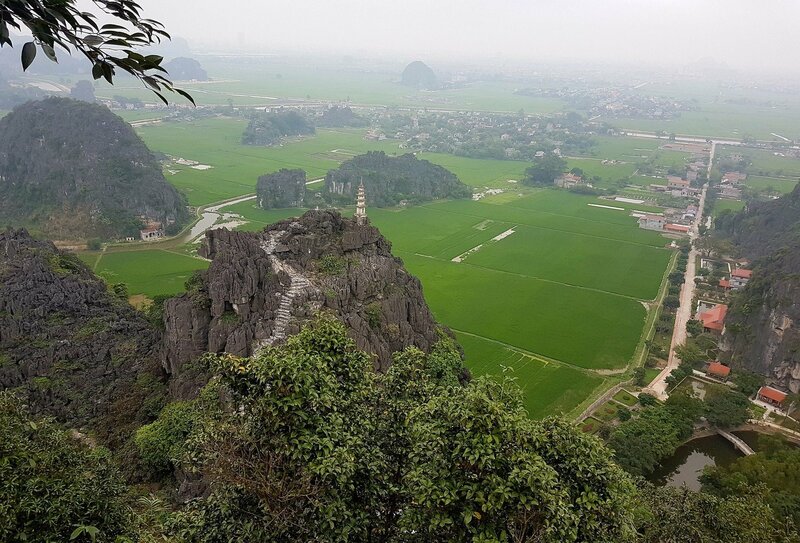 Day 5: Ninh Binh Homestay. 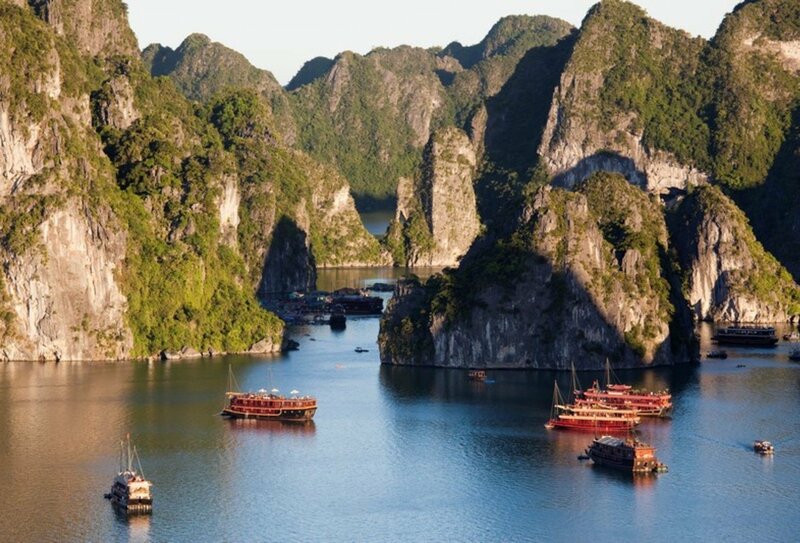 Return to Ha Long Bay before plunging south to the stunning landscapes of Ninh Binh. Check in to a fantastic riverside homestay, and watch the sky turn orange and pink as the sun sets in this magnificent location. Breakfast and lunch included. Day 6: Beautiful Ninh Binh. Join a bicycle tour through the countryside. 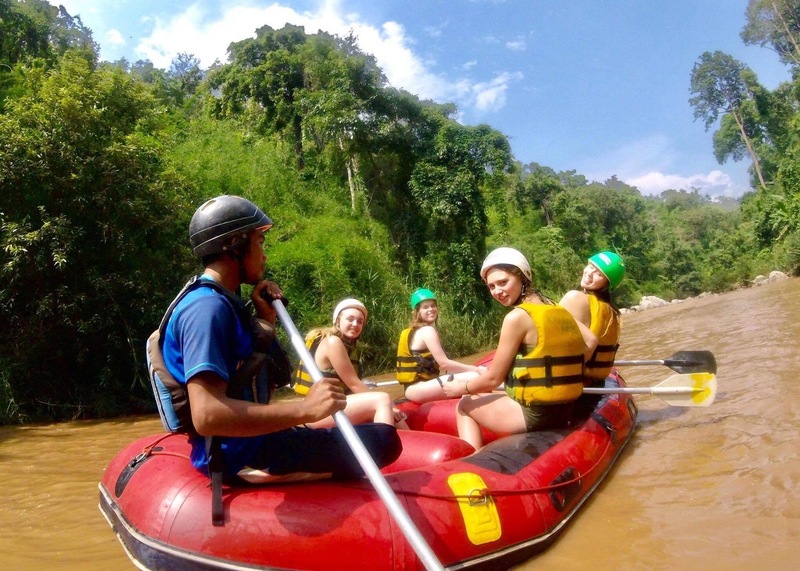 Then hop on a boat and glide along gentle rivers and delve into atmospheric caves. After lunch, ascend the legendary 450 steps of Dragon Mountain Viewpoint and prepare for a magical sunset. Overnight train down to Hoi An. Breakfast included. 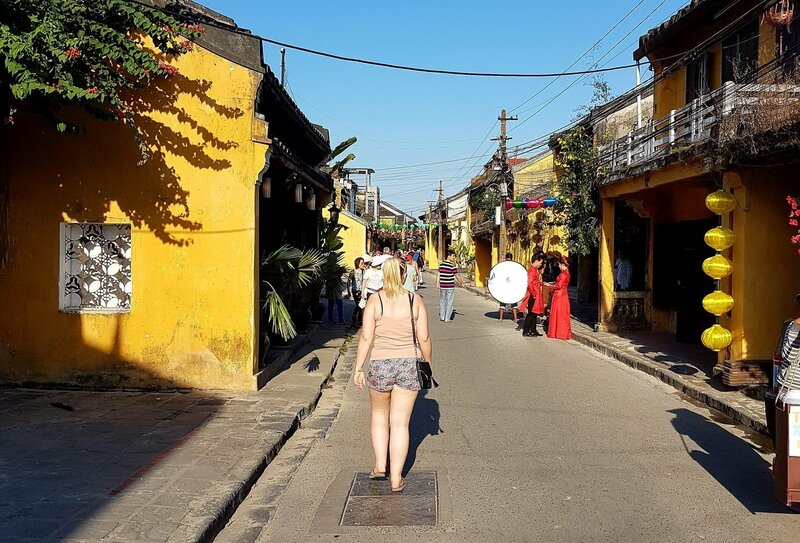 Day 7: Hoi An. Wake up this morning in Danang and hop on a bus to Hoi An. 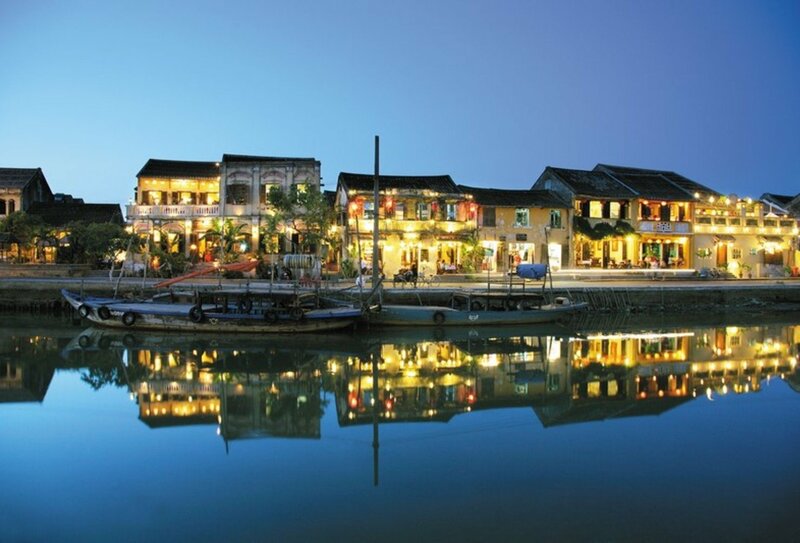 Explore the lantern lit streets, wander around the shops and market stalls or simply gaze out over the wonderful waterways. Day 8: Cycling and Crab Fishing. 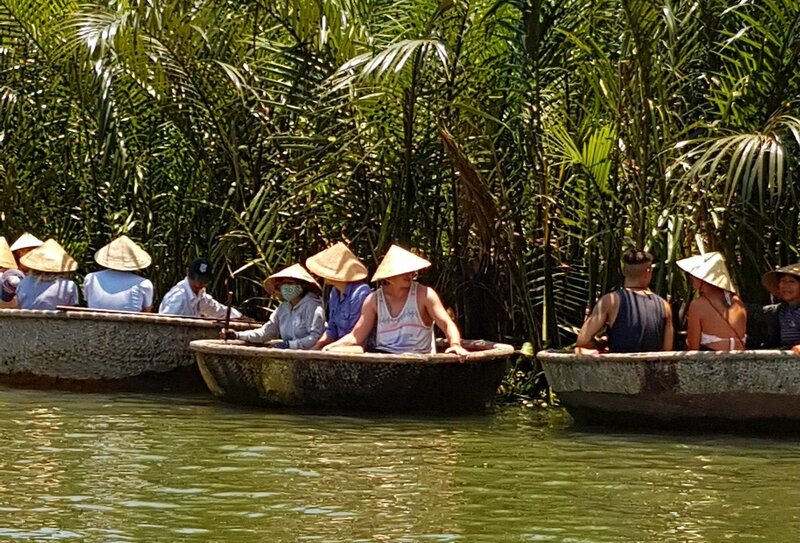 Today, jump aboard a fisherman’s boat and learn to catch crab as you float through tranquil Vietnamese waters! Then, learn how to whip up some tasty Vietnamese delicacies at a cooking class. Breakfast and lunch included. Day 9: Ho Chi Minh City. Jump on a short flight to southern Vietnam and visit famous Ho Chi Minh City. Soak up the atmosphere of this vibrant place. Day 10: Mekong Delta. 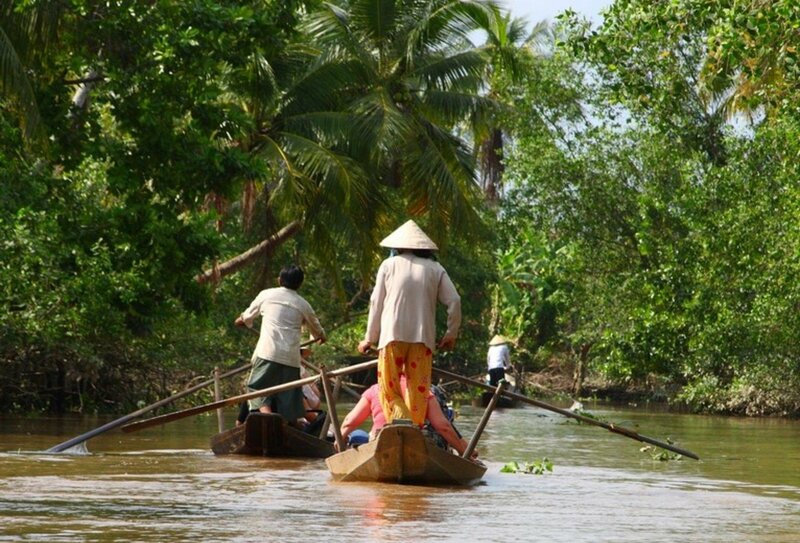 Back on the water today as you explore the beautiful Mekong Delta on board a traditional canoe. Glide through natural tree arches and try your hand at catfish fishing! Day 11: Cu Chi Tunnels. Head underground and explore the incredible Cu Chi Tunnels, a sprawling network of underground passages that were used during the war for supplies and communication. 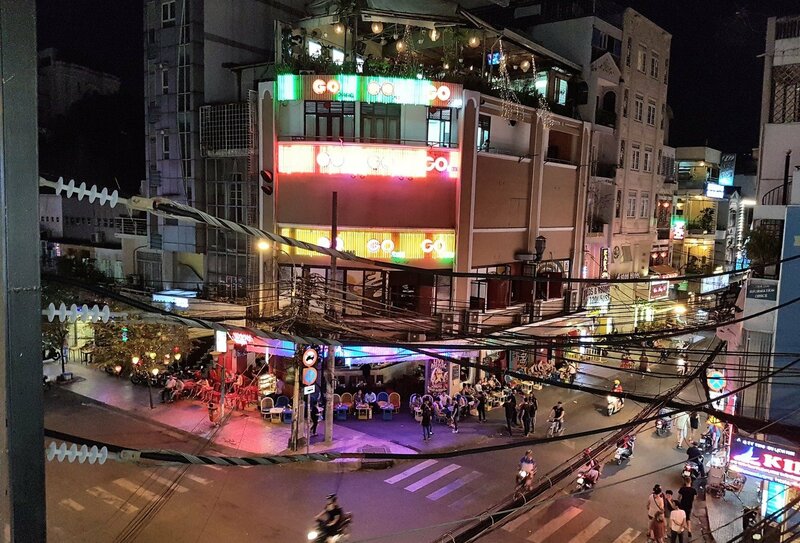 Then enjoy a farewell night out in Ho Chi Minh City. Breakfast and dinner included. Day 12: Vietnam Adventure ends. Your amazing combo adventure has come to an end! Head to the airport and fly home. Please note: We try to run as many of our start dates back-to-back, however on occasional start dates there may be days in between where you will need to arrange your own accommodation. Please note that on occasion there may be some extra days between each section of your trip, where you will need to arrange accommodation at your own cost. This can be easily arranged, speak to a travel advisor for further details. 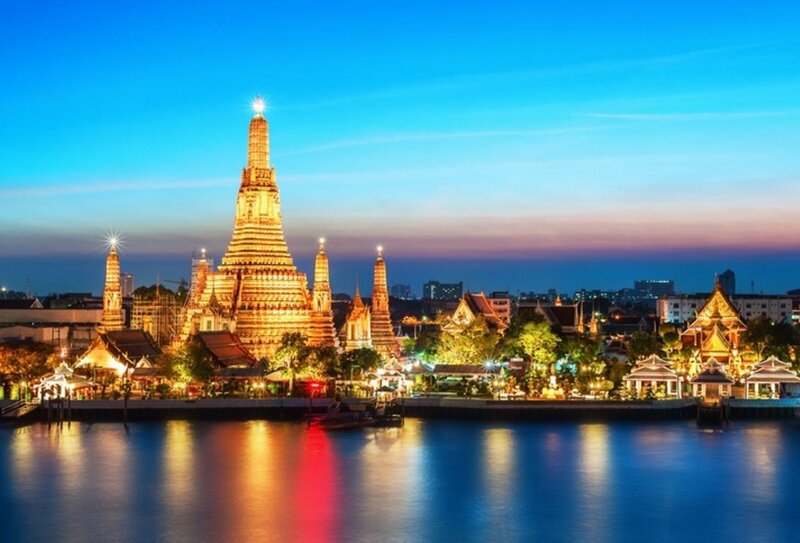 Arrange your flights to arrive in Bangkok on day 1 of your tour. You will be met at the airport by your group leader, who will take you to your hotel and introduce you to the rest of your group. Please note that airport transfers are only available between 6am and 10pm and only from Suvarnabhumi International Airport (BKK). If you arrive outside of these hours (or at Bangkok’s other smaller airport (Don Muang (DMK)) you will need to take a taxi to your hotel, which is very easy to arrange. 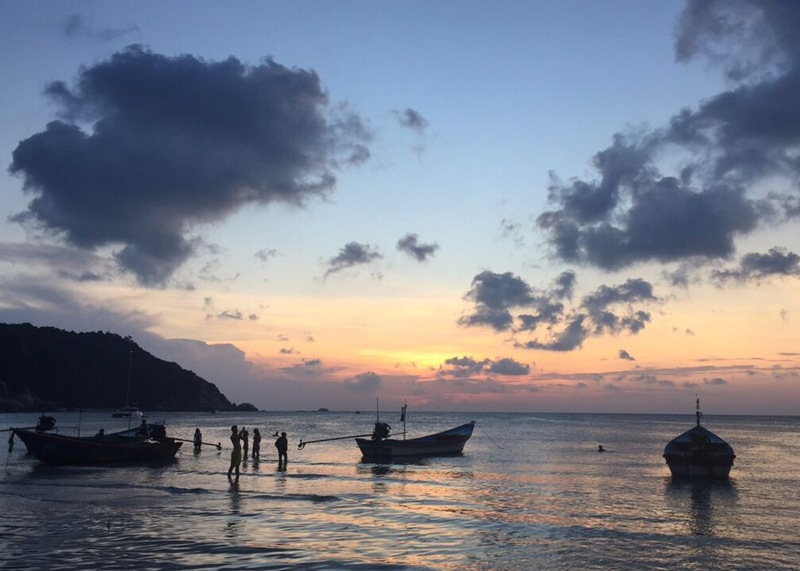 The Thai Adventure ends on Koh Tao. We recommend you take a short ferry ride across to Samui or Surat Thani and fly to Bangkok from either of those airports. Ferries from Koh Tao depart fairly regularly across the day so you can depart when most suits you. Alternatively you can take a ferry and then a bus to Bangkok. Your tour begins in Bangkok on day 1. Your tour ends in Ho Chi Minh City in Vietnam on Day 10. A return airport transfer is not included. 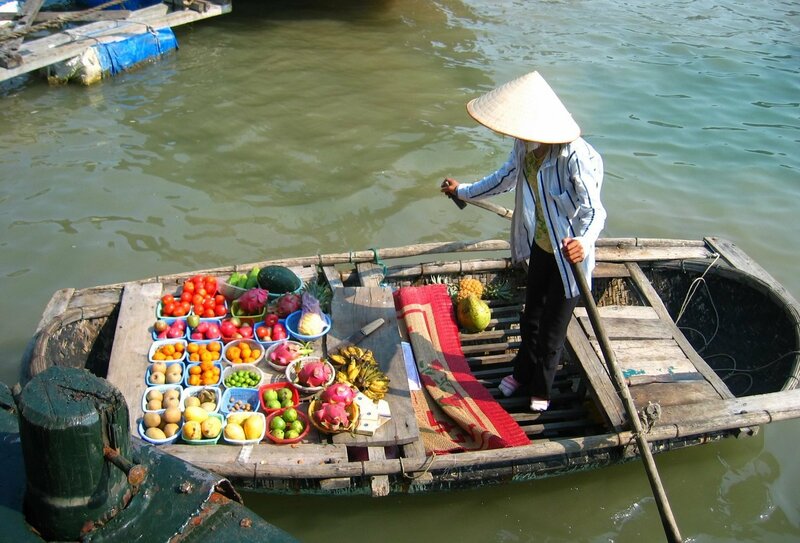 Speak to us about travel options from Ho Chi Minh City to Hanoi. This journey is at your own cost. Arrive into Noi Bai International Airport in Hanoi on day 1. You will be met and transferred to your accommodation. The tour ends in Ho Chi Minh. A return airport transfer is not included but is easily arranged. Accommodation is included for the full 4 weeks of the tour. For the majority of the trip your accommodation will be in twin or triple shared guesthouse rooms. When in Bangkok, you will stay in a guesthouse close to Khao San Road, famed for its backpacker popularity and its position as a starting point for many Thai trekkers. You will stay in authentic Thai accommodation at the elephant park, in dorm-style rooms with mosquito nets. This is basic, but comfortable. In Chiang Mai, you will stay at a lovely guesthouse which is a short walk from the night market and Tha Phae Gate area. 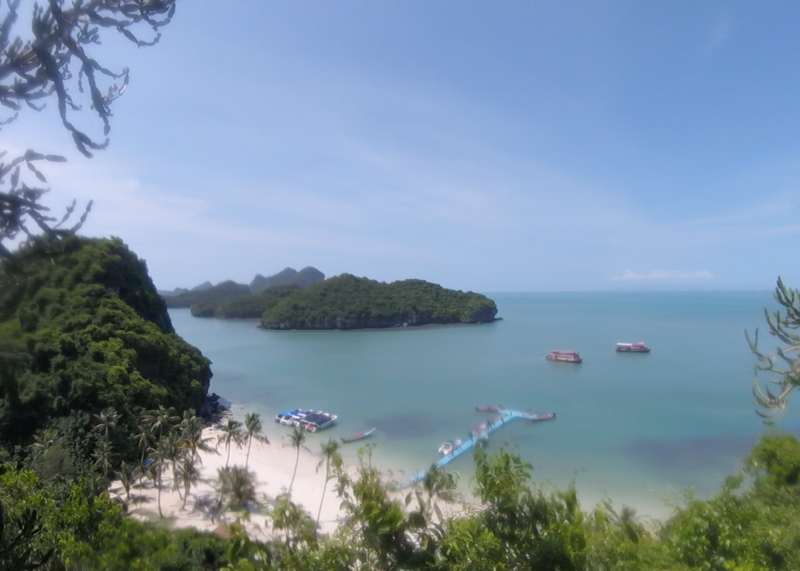 In Krabi you will stay in shared rooms with air-conditioning, en-suite bathrooms and Wi-Fi available. 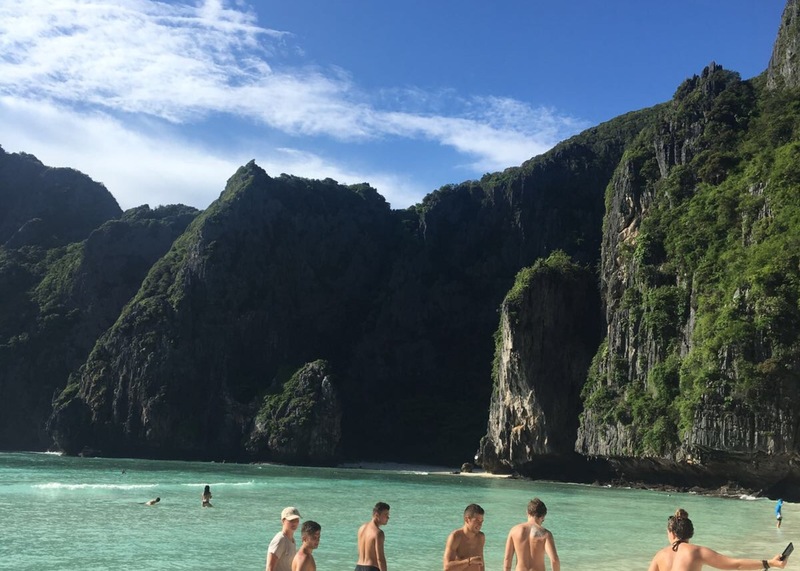 On the tropical paradise that is Phi Phi, you will stay at a resort 10 minutes from the ferry port and beach with it's own pool! On Koh Samui, you stay in a more chilled out area of Bangrak. If you wish to hit the main beach for some late night partying a tuktuk will take around 20 minutes. 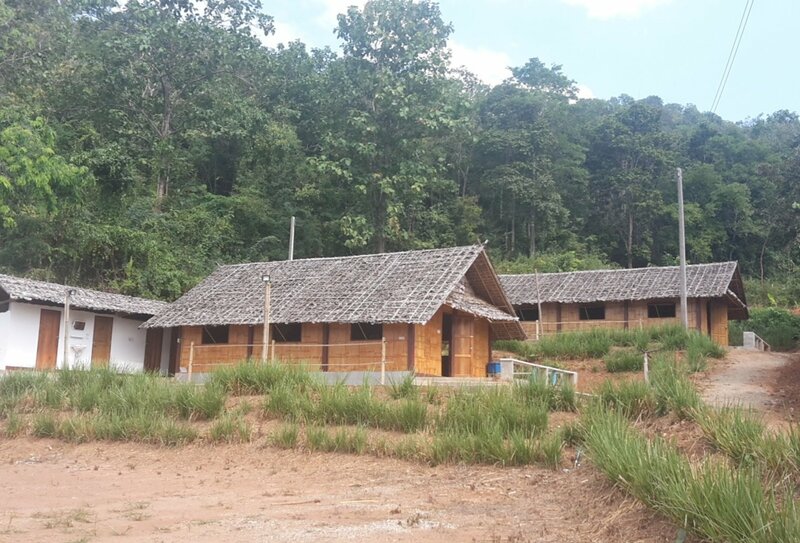 As the dam building project is located close by, you get to really experience a difference pace of Thai life. On Koh Phangan the accommodation overlooks the white sands of Baan Tai Beach. Here you can chill out by the pool, grab a few drinks in the bar or enjoy a dip in the turquoise sea. 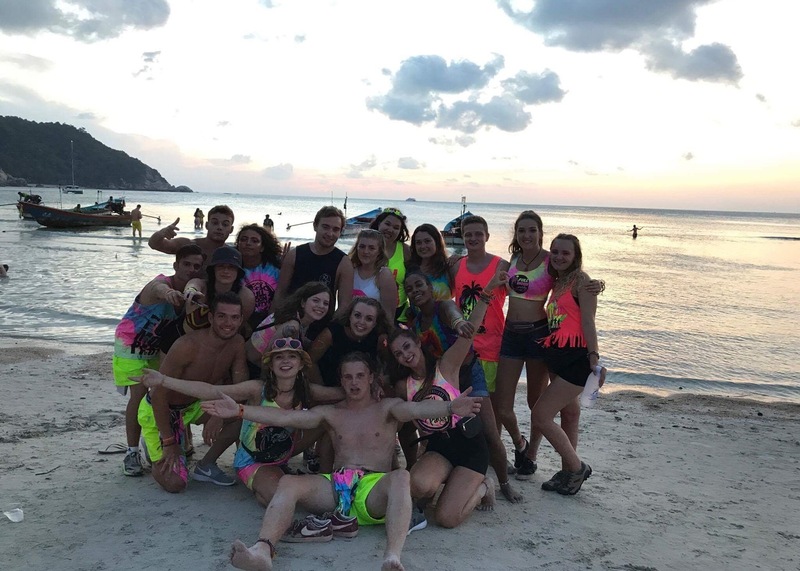 If your trip coincides with a Full Moon Party, your accommodation is just a 20-minute taxi ride away from the party beach. Split between your group, the cost of this journey will be approximately £2 each! This means you can easily head out for an unforgettable night and then retreat to your chilled-out beach-front accommodation to recover. And if your trip coincides with a Half or Black Moon Party the festivities are right on your doorstep! You’re never far from the action on Koh Phangan! 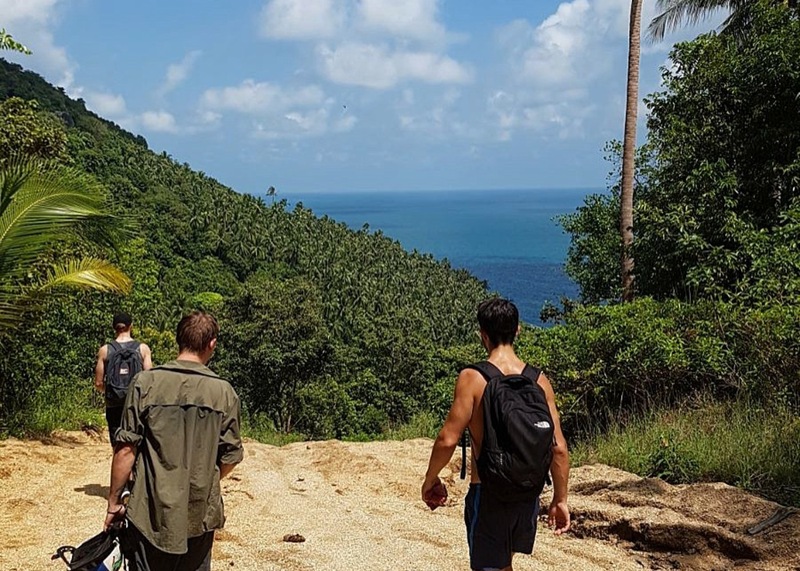 Koh Tao is all about activities, you have plenty of free time to chill on the beach which is a few minutes walk from your accommodation or relax by the pool. For those who want some action there are a host of optional extra activities you can book locally. Please note: In some of the hotels along the way, you may be asked to pay a security deposit of around £15 to £20, which is standard practice across Thailand. These deposits are fully refundable on departure, as long as there is no damage to your room. 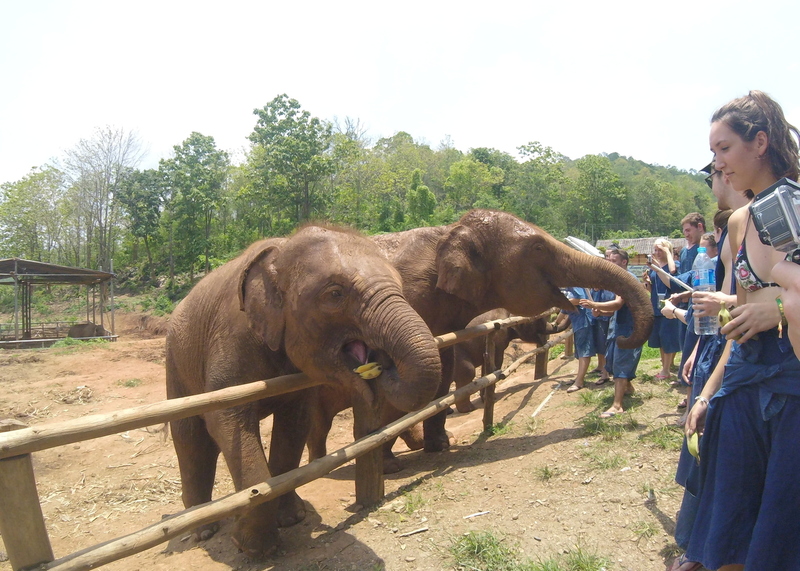 Meals are not included, except meals at the Elephant Home and during the Hill Trek. This provides an excellent opportunity to engage with local people at restaurants and market stalls and to sample authentic local cuisine. Food in Southeast Asia is very cheap so eating out won’t break the bank! 9 nights of multi-share accommodation are included on this trip. 7 breakfasts and 2 dinners are included on this trip. You will be required to purchase the rest of your meals yourself. This is an excellent opportunity to throw yourself into local life and interact with local people at restaurants and food markets. Southeast Asian cuisine is delicious and mostly very cheap so eating out during your trip shouldn’t break the bank! 11 nights of accommodation are included on this part of your trip. You will mainly stay in twin or triple share hotel rooms. In Hanoi, you will stay in a funky ‘flashpacker’ hostel dorm. You will also spend one night on board a traditional junk boat on Ha Long Bay, one night on a private island, one night in a homestay and one night on a comfy bed on an overnight train! 9 breakfasts, 4 lunches, and 3 dinners are included. Please note: On certain start dates of this combo adventure, there may be a few days between the end of one tour and the beginning of the next. Accommodation during this time is at your own cost. Please speak to a travel advisor for more information. The minimum age to join this group tour is 18. Thailand - British nationals can enter Thailand without a visa for a stay of up to 30 days. On certain start dates you may have a few days between your tours which will mean you will stay in Thailand for more than 30 days. For these dates you will need to apply for a 60-day visa. Please contact us for more details. 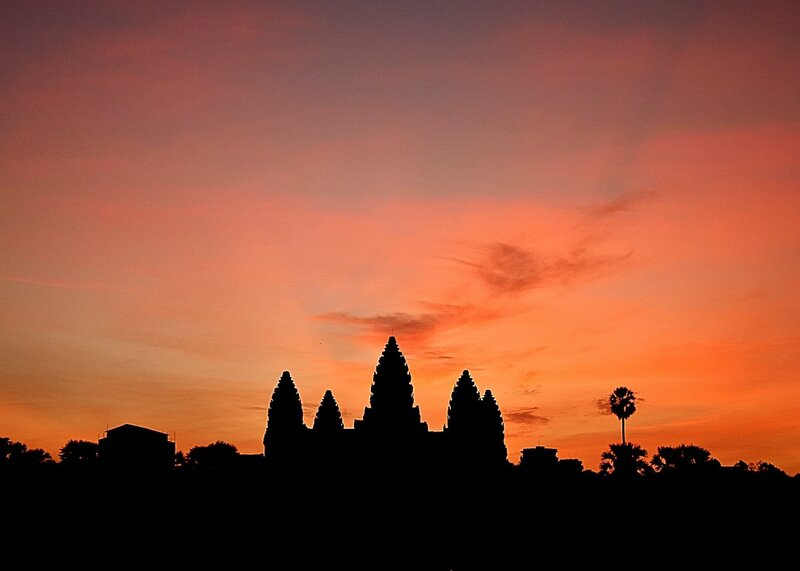 Cambodia - Visas can be obtained in advance from your nearest embassy or on arrival in Bangkok. You will need at least one full working day to arrange this. You can also obtain your visa at the Cambodian border for approx. £25. Bring plenty of passport size photos with you. Vietnam - British nationals can enter Vietnam for a maximum of 15 days without a visa. You must have at least 6 months validity remaining on your passport from the date you enter the country. If you wish to stay longer than 15 days, or wish to leave and re-enter the country within 30 days you will need to apply for a visa before travel. As you will return to Vietnam on the Cambodia on a Shoestring leg of your trip, you may have to apply for a multi-entry visa in advance of travel. Please check the Vietnam embassy website for up to date visa information. Please note: Entry requirements for Vietnam change frequently, so please check the embassy websites for up to date information in advance of travel.